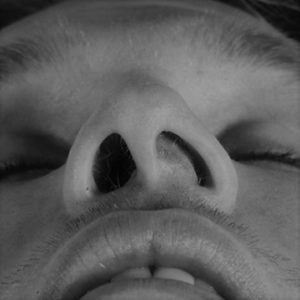 The nasal septum is bony-cartilaginous structure that separates the nasal cavity into the two nostrils. The air enters through the nostrils, is humidified, warmed, cleaned of foreign particles and via the nasal passages it goes into the lungs. 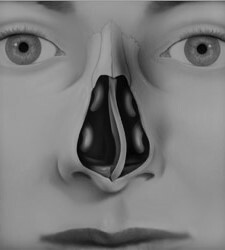 A deviated nasal septum most frequently has an inherited underlying cause. 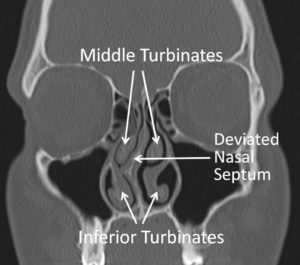 However, deviations of the nasal septum can occur after face serious injuries during birth, childhood or even during adult life. 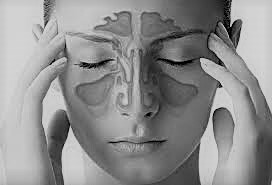 Most patients visit the Dr Petropoulos complaining about difficulty in nose breathing through one or both nostrils, frequent headaches, aggravated episodes of sinusitis and persistent rhinitis. Their symptoms may go back a long time and even a simple cold can worsen them. – Becoming more easily tired, especially during intense physical exercise or work. – Sleeping with an open mouth and start to snore as a consequence of that. – Complaining about a feeling of mouth-dryness during the morning awakening. – Complaining about intense and persistent irritation of their pharynx accompanied by cough. The most severe consequence of chronic mouth breathing is the daily and gradual aggravation of the cardiac and lung function. The diagnosis is based on the patient’s medical history and on his family’s medical history and by using the methods of anterior rhinoscopy, nasal endoscopy and rhinomanometry. Septoplasty is performed on patients over the age of 16 years, at a time when the structure of the nose has reached its final shape and size. The surgery is performed under general (endotracheal) anesthesia. With the use of Dr Petropoulos innovative technique that has been developed over the last few years, septoplasty is now a completely painless procedure that lasts from 15 up to 20 minutes. It is not anymore necessary to place endonasal packing after surgery. That’s why, the patient can realize the improvement of his nasal breath. 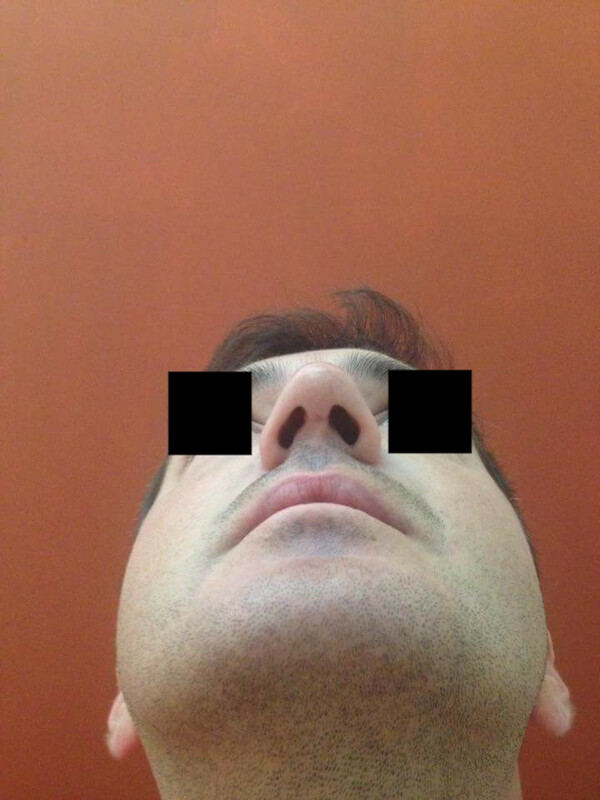 The shape of the nose remains the same without any edemas and swellings. 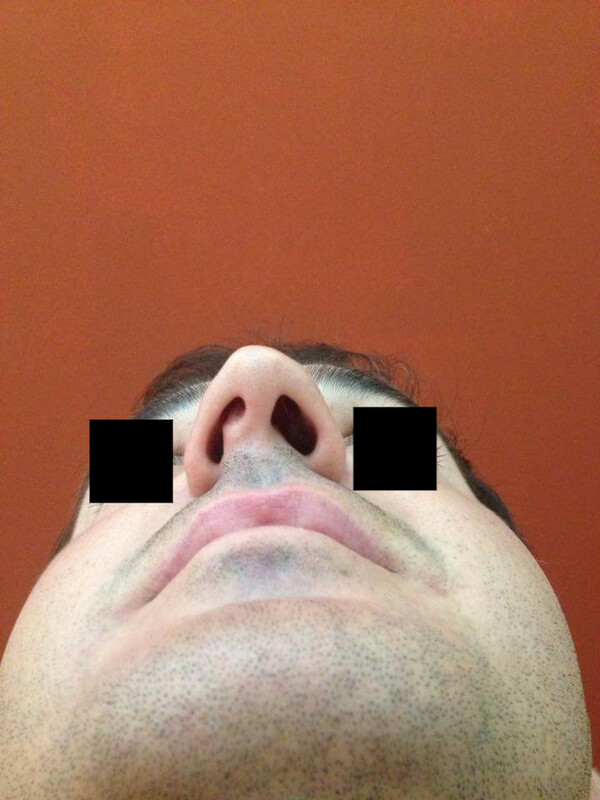 Below, follows photographic material from recent septoplasty surgeries. The patient remains in hospital for four hours and after this he is able to return to this own home. The next day is able to return to his normal activities.